Forensic video enhancement or surveillance video enhancement is the process of clarifying the events, using non destructive techniques in order to preserve the video evidence integrity and pixel quality. Clarifying or enhancing the events as they occurred assists the trier of fact to make determinations about the events. Surveillance video recordings used as evidence can be enhanced regardless if they were recorded during the day or at night. 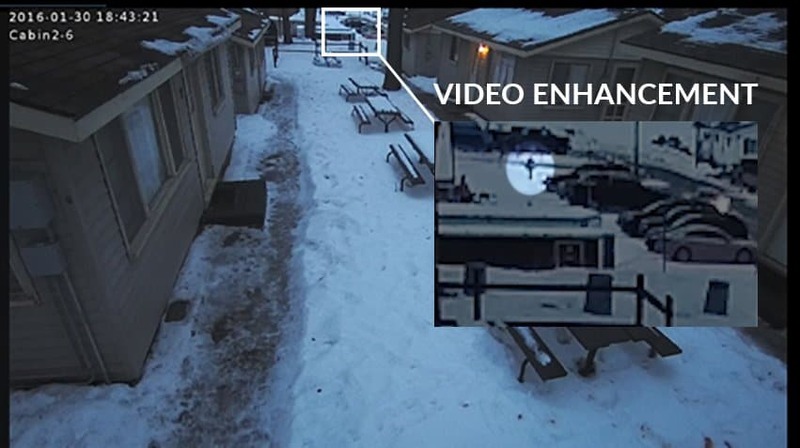 The success of the forensic video enhancement or surveillance video enhancement is directly proportionate to the enhancement techniques, resolution and frame rate of the video evidence. As a video forensic expert we perform forensic video enhancement services on a daily basis. A video forensic expert is the most qualified professional to enhance events as they occurred naturally. This is due to the fact that we understand how the images were captured, and what processes can be applied without altering the events. Often times we are asked to provide forensic image enhancement as well for identification purposes. We use various software programs and video forensic enhancement tools to help us enhance or clarify (clarify is a much better word use in the courtroom) the desired video images. We create customized filtering to sharpen the video image and remove video noise for identification and enhancement of the images in the CCTV Surveillance video. Often times we will perform a preliminary analysis to ensure we are confident in meeting our client’s expectations. This process requires 1 hour of our lab time in order to apply test enhancements. Once we are confident we can assist, we then enter a full investigation where we can create; derivative video exhibits, demonstrative video exhibits which include motion based highlighting and/or circling, as well as speed reduction exhibits. 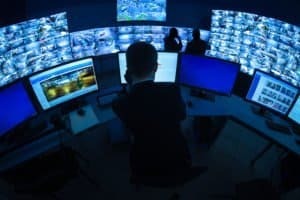 A variety enhancement techniques are applied in different arrangements on CCTV surveillance video recordings, smart phone video recordings, law enforcement dash camera recordings as well as other types of recordings used as video evidence. Surveillance video enhancement is the most common practice that we perform. The most important ingredient to this scientific process is to maintain the highest quality version of the video evidence. Establishing this chain of custody for quality is crucial to yield the best possible success. This yields the highest success possible throughout the investigation. The enhancement capabilities of the video enhancement are reduced limited if the analog or digital video has undergone additional video compression processes. When a video recording has been professionally enhanced, it is important to identify how the video will be viewed in court. When viewing the enhanced video recording, it is best to play the video back using the best technology to show it as clearly as possible. Secondly, accommodate the speed of the process as best as possible. Some courts like the Federal Court in Boston have more advanced systems where our work product is easier to view. Other arrangements like projects and big screen TV’s can be made if a courtroom doesn’t have more advanced technologies. This type of set-up gives us the ability to play the video quickly with features such as slow motion, frame by frame analysis, and zooming capabilities. We never want to cause a delay in the court proceeding due to technical difficulties. Is audio a part of your video evidence? Will the jury be able to hear the audio clearly? Do you need a PA speaker or amplifier system to make the audio louder for everyone in court to hear? It is common when I testify that I bring in a suitcase of 1 to 2 options of playback equipment to ensure all video is presented properly and easily heard by all persons in the court room. Many courts that I have testified in have video playback equipment. Some of the video equipment that the court provides may not be a high enough quality higher resolution playback. Also, older systems may not be bright enough for the trier of fact (judge and jury) to preview from. Double check with the court before hand to determine what playback technology they have available. Bring in any equipment necessary or outsource a company to do so, so the Trier of Fact can easily see and hear your video recording. If you have to rent equipment, make sure it arrives well in advance of the trial. Sometimes i am required to install proprietary courtroom projection applications in order to present enhanced video recordings. This is always done BEFORE litigation time, a valuable lesson i once learned. I was testifying on a case where i needed to use a courtroom viewing proprietary application. The app completely messed up my computer. Because this was during prep time, I was able to undo the app and make other arrangements to play the video evidence. These kinds of errors are CATASTROPHIC for testimony as well as your integrity and professionalism as an expert. It is always a best practice to handle these playback errors BEFOREHAND, outside of the live show in the courtroom. To learn more tips about presenting video evidence for courtroom use, click HERE.